FTD® proudly presented the Vera Wang Orchid Bouquet. 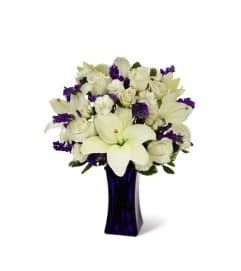 A sophisticated choice to make the day take on new meaning and offer a fresh approach with it's flair for modern drama, this stunning flower bouquet can only have been created and designed by world famous fashion designer, Vera Wang. 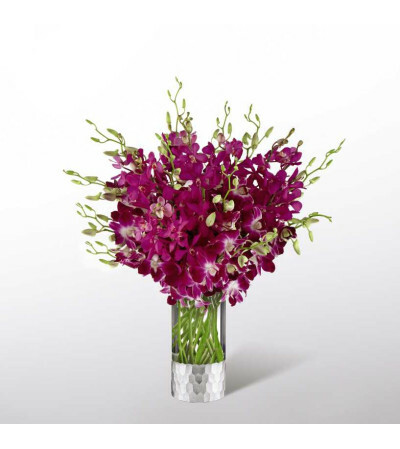 Purple Dendrobium Orchids and fuchsia Mokara Orchids are brought together to form an array of textured elegance arranged perfectly within a clear glass cylinder shaped vase with a silver metallic embellishment at the base. 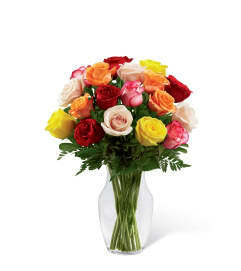 An impressive gift to send in honor of Valentine's Day, a birthday, or an anniversary!